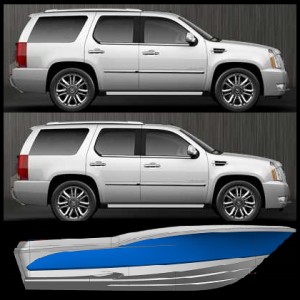 Self Bailing Flow Through Deck – The Barracuda 188 features an Innovative Flow-Through Deck that gives it the best Water Runoff Performance than any other conventional transom boat of any size. Rather than requiring deck water to drain through small tubes, which often clog with scales, leaves, or other debris, Barracuda’s unique deck design allows the water to flow underneath an integral One-Way Deck Scupper that allows thousands of gallons to be evacuated in literally seconds. 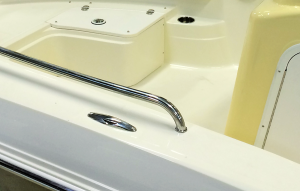 Other boat designs rely on small drain tubes that often take several minutes to drain – similar to draining a bathtub, which puts the boat in peril and reduces performance to get out of a sticky situation. In a Barracuda 188 however, completely swamping the deck will require only seconds to fully bail, instead of minutes; giving you time to maneuver and get out of trouble. 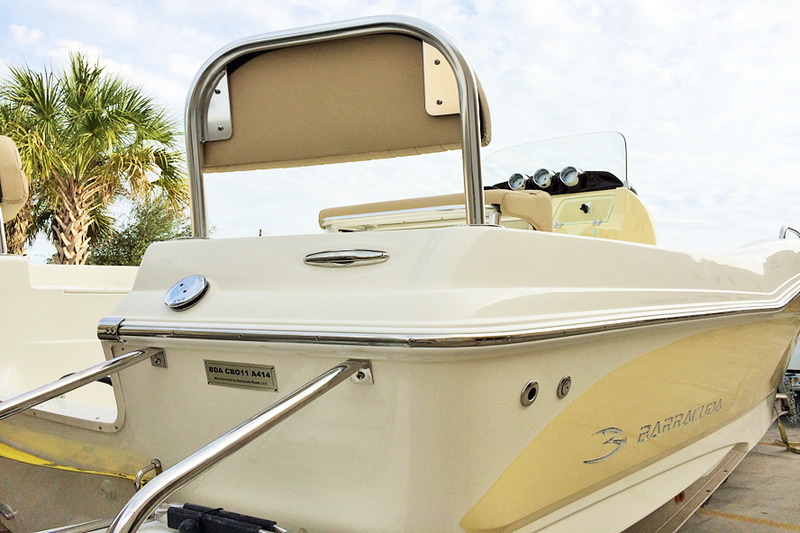 The Deepest Seating in the Industry – The Barracuda 188 features an extremely deep bow flare, which not only makes the hull butter soft and bone dry, but it also allows for the deepest freeboard and seating in the industry. In fact, the Bow Seating of the 188 CCR is deeper than most 22 to 24 foot Center Consoles AND Deckboats! 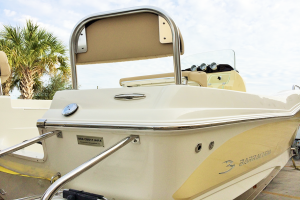 One look at the depth of the bow backrests, or the cooler seat in front of the console will show you that occupants are safely seated INSIDE the boat, rather than riding on top of it. 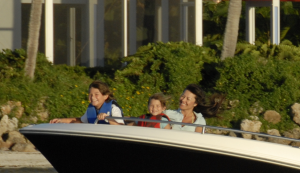 Additionally, the aft seat backrests extend up over 24” to keep kids and adults deeply seated, with full back support, to remain safely seated inside the boat. 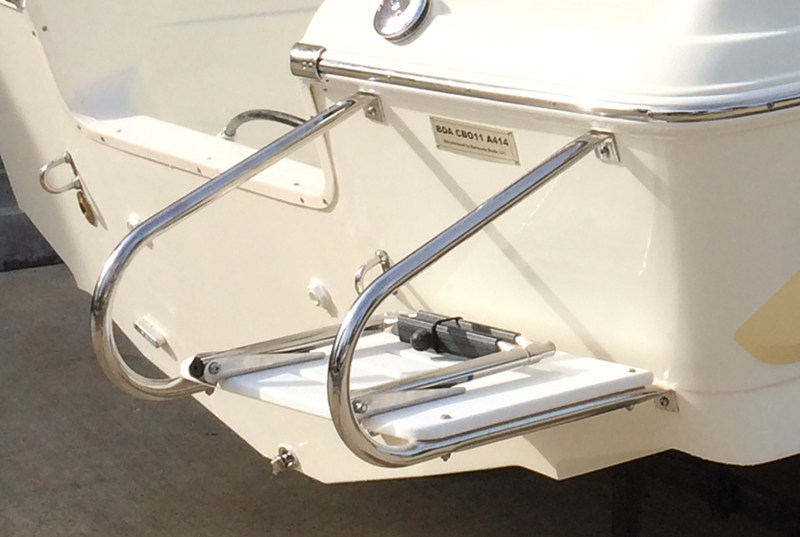 9,100lb Max Load Capacity – All Barracudas are rigorously tested and refined for safety during the development of the model. 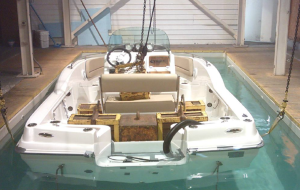 Barracuda subjects all of its boats to the US Coast Guard, for stringent compliance with all safety standards. However, the Barracuda 188 broke all records and surpassed any known rating when tested at the US Coast Guard Test Facility. It remained upright and afloat, with 1” of freeboard, with 9,100 pounds of lead in the cockpit! This is a true testament to the engineering and design of the Barracuda 188, by supporting the weight of nearly two Cadillac Escalades in an 18 foot boat. 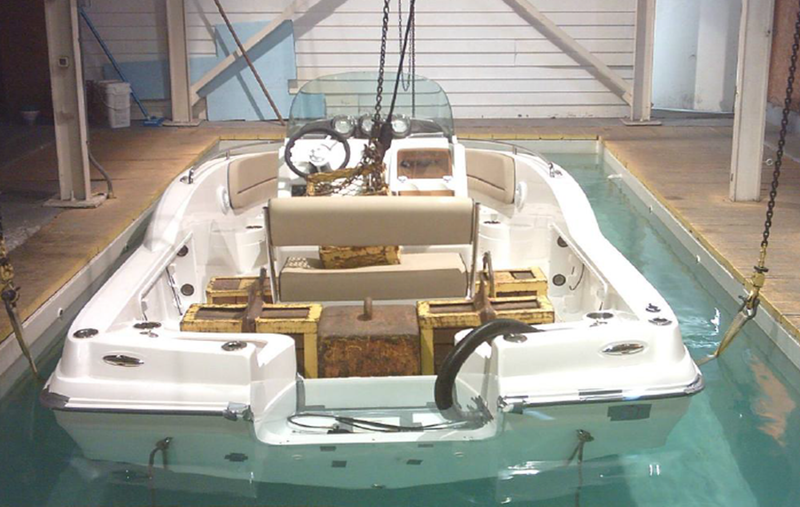 Safety is Engineered In – The Barracuda 188 is designed and tested to a higher level of occupant safety. Details like placing the cleats outside the full length 1” safety rails to prevent contact or injury are often overlooked by other manufacturers. 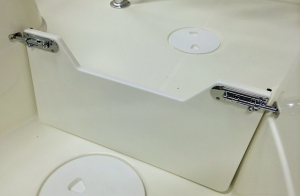 Aft cleats are designed and placed off of the stepping surface to minimize tripping, or dock lines snagging your feet as you board. Aft Boarding Ladders feature 2 handles to keep you from falling into the engine while boarding in rough seas. Flush Mounted Stainless Pull-Up Cleats are standard equipment, to maximize occupant safety. We realize that occupant safety plays a critical role in enjoying your time on the water.